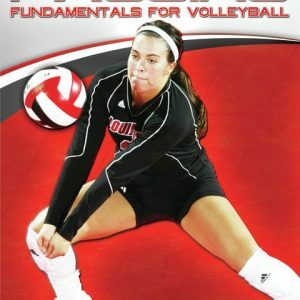 Ball control is a prominent issue for younger players who may not have grown into a dedicated position on your volleyball team. With limited practice time, is it any wonder that the “practice-centric” skills of ball control, reading and shot selection are underdeveloped and seem to disappear when the third match in pool play comes around? 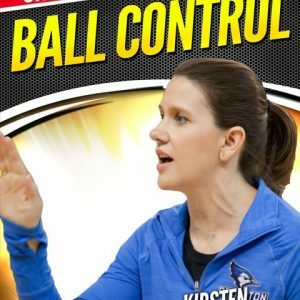 In this presentation, Tara Cross-Battle helps you train players on how to reach the next level of play by improving ball control, reading opponents’ play and choosing better shot selection. By developing ball control and reading skills, this video is great for teaching younger, developing players how to implement awareness of play and communicate that awareness so they are equipped to handle whatever their opponents throw at them. Lack of ball control is a huge issue with middle school and high school aged players. By using several variations of ball control drills, your players will work on movement control, ball control and communication. The drills get players to work on contacting the ball in a variety of ways while working with a partner to keep the ball from hitting the floor. One big issue younger players often have is they do not react or see what’s going on with the ball until it’s on their side of the court. 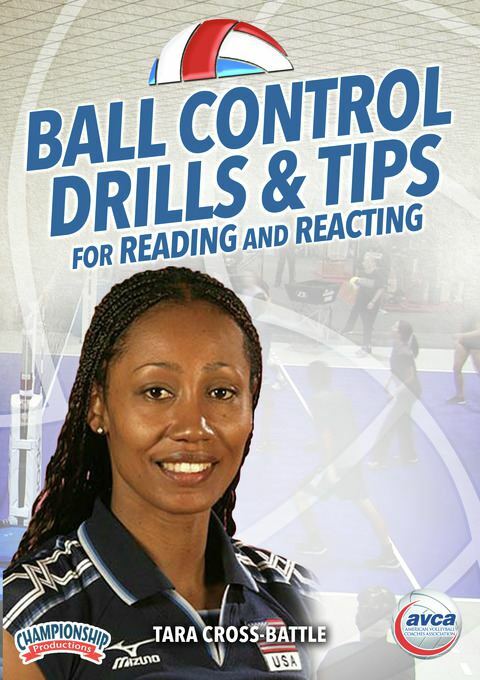 Coach Cross-Battle explains and demonstrates how to train anticipation and reading of what’s going on while the ball is on the other side of the court. This will help your players get into better position on the court to make a play on the ball. Coach Cross-Battle introduces a series of drills that will help your players learn to track the peak of the serve, allowing them to read it before it gets on their side of the net. She also explains how it’s best for players to read the pass on the other side of the net. This helps blockers understand where they’ll be going, depending on the pass. The drills shown here will help defenses stop guessing where the attack will come from and teach them to hold and react to the pass and set. Hitters need to be able to do more than one thing with the ball. Coach Cross-Battle gives you drills to help your hitters craft different shots and add more to their offensive repertoire. She demonstrates drills that help train attackers on the proper mechanics of rolls shots, deep corner shots and attacks off of the blockers hands. Players will work on their different shots while also focusing on reading and calling out what they see. This video is perfect for coaches who have always scratched their head trying to figure out how to get their players to see what’s happening on the court and get them in better position defensively. Your players will have a better understanding of reading serves and analyzing what the other team is doing offensively.